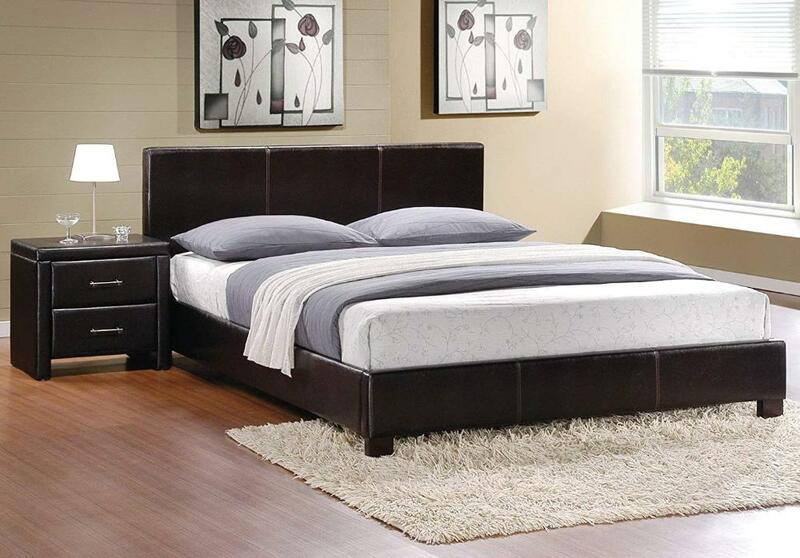 Make a statement in your bedroom with the Zoey Collection platform bed. This dramatic bed is covered with dark brown bi-cast vinyl. Matching night stand is also available. FEATURES: Dark Brown Color ~ Contemporary Style ~ Bi-Cast Vinyl Cover ~ Stitching Accents ~ Night Stand Optional ~ Drawer Metal Roller Side Glide.